The Financial Supervisory Service on Tuesday launched a special investigation into misconduct at Hana Financial Group and its subsidiary KEB Hana Bank in hiring entry-level employees. The move came a day after the watchdog’s former governor, Choe Heung-sik, offered to resign amid growing allegations that he was involved in the scandal during his stint at the banking group in 2013. A 15-day special in-house counsel team headed by FSS Deputy Gov. Choi Seong-il was launched Tuesday to look into Hana Financial’s past employment processes, officials said. 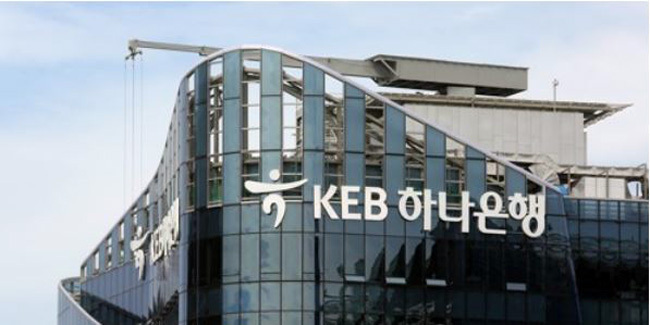 KEB Hana Bank is suspected of having exempted the resume screening process for job applicants recommended by senior staff members back in 2013. The result of the investigation will be reported directly to Chief Executive Auditor Kim Woo-chan, who took office last week. Formerly a prosecutor and judge, Kim served as an outside director of KB Kookmin Bank from 2015 to 2017. Yoo Kwang-yeol, first senior deputy governor and acting governor starting Tuesday, will be out of the counsel team’s reporting line. Any irregularities found during the probe regarding employment -- such as the manipulation of ineligible applicants’ scores, as well as creation of new criteria for employment in favor of certain applicants -- will be handed over to prosecutors. The probe reflects the FSS’ determination to zero in on Hana Financial Group and its bank, which are accused of employment irregularities that also allegedly involve Choe. On Monday, Choe, who took office in September 2017 with presidential approval, offered to step down Monday after serving the shortest term as FSS governor in history. During his stint as Hana Financial Group chief executive from 2012 to 2014, Choe is alleged to have had an entry-level applicant -- a son of Choe’s friend -- accepted to KEB Hana Bank, by passing on the name of the applicant to the human resources team. The applicant was found to have been disqualified. Choe, however, in his resignation letter denied allegations that he had committed any wrongdoing in the process. 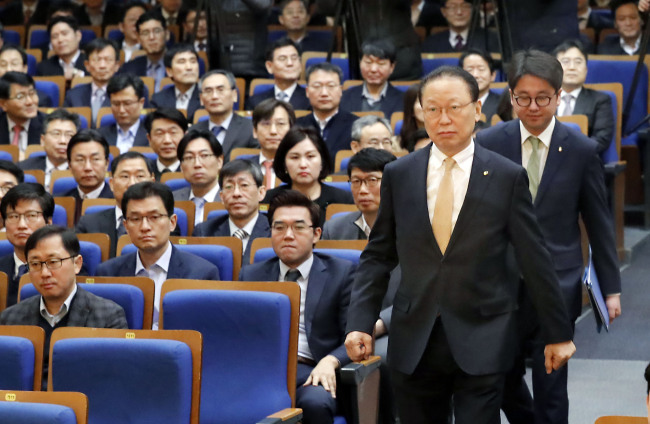 On Tuesday morning, a spokesperson of Cheong Wa Dae told reporters that Choe’s resignation would obtain presidential approval by no later than Wednesday. This comes in line with President Moon Jae-in’s pledge in October 2017 to fight irregularities in recruitment at financial firms and state-owned enterprises. Moon has called such irregularities a “symbol of injustice and collusion pervasive in the nation,” and demanded that those responsible face legal consequences. Recruitment scandals emerged across the nation after casino operator Kangwon Land and commercial Woori Bank were found to have favored disqualified applicants due to personal ties with senior staff of the firms in the recruitment process during a parliamentary audit in October. Lee Kwang-goo, then-chief executive of Woori Bank, stepped down in November following the scandal. Following these cases, the FSS had looked into banking institutions from December to January, and handed over 22 cases from five commercial banks to prosecutors. The FSS, however, has not been an exception from such recruitment scandals. An inspection by the Board of Audit and Inspection of Korea revealed in September 2017 irregularities in its own recruitment process. The Ministry of Strategy and Finance considered designating the FSS as a public corporation to enhance internal governance, but decided not to in January this year.